The RectiCare® Complete Hemorrhoid Care System helps shrink hemorrhoids while relieving pain, itching and burning. The kit includes a hemorrhoidal cream and eight individually wrapped wipes formulated with 5% lidocaine, a local anesthetic that relieves pain and discomfort, and 0.25% phenylephrine HCI, a vasoconstrictor that narrows the blood vessels to decrease swelling. You’ll also get 10 finger nonlatex covers that will allow you to apply the cream hygienically. 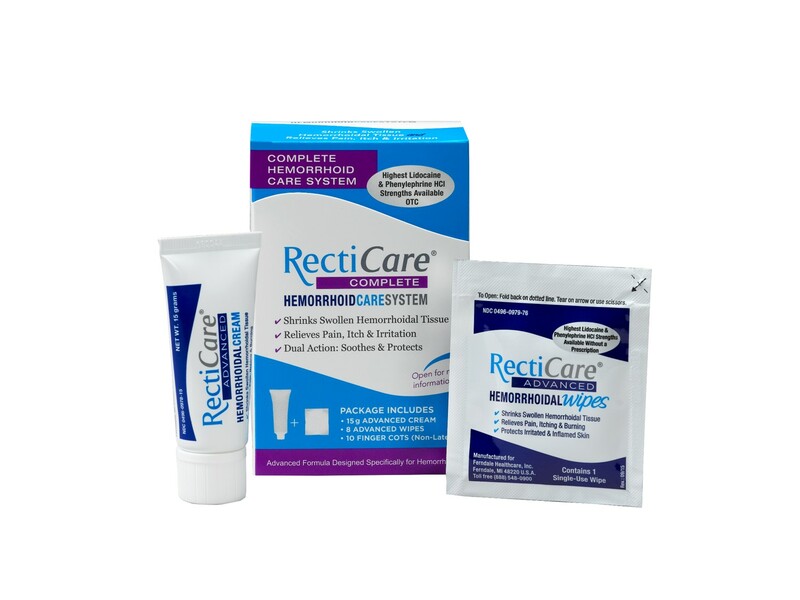 You can buy the RectiCare® Complete Hemorrhoid Care System without a prescription for $29.99 at Walgreens, Rite Aid, and CVS. Visit www.recticare.com for more information. Note: We received sample(s) of the RectiCare® Hemorrhoid Care System in exchange for our honest opinions. Regardless, we only recommend products or services we use personally and believe will be good for our readers.